Assassin's Creed: Rogue releases this fall, and will give a rare glimpse into the world of Templars. With this in mind, Nate Hohle jumps into an Animus and investigates the history and philosophy of this secret Order. As the song goes, everybody wants to rule the world. "Even when your kind appears to triumph ... Still we rise again. And do you know why? It is because the Order is born of a realization. We require no creed. No indoctrination by desperate old men. All we need is that the world be as it is. And this is why the Templars will never be destroyed." These powerful and terrifyingly truthful words, spoken by grandmaster Haytham Kenway from Assassin’s Creed III, best sum up the enigmatic Order of Templars; the central antagonists of the Assassin’s Creed franchise. However, Haytham’s words reveal only a small fraction of the Templars’ true breadth and influence. With the announcement of Assassin’s Creed: Rogue, and through it, the chance to see events unfold through the eyes of an Assassin turned Templar, now is the perfect time to look back at how the Templars were first conceived, where they are now, and what could be in store for them in the future. In its purest unaltered state, the ultimate goal of the Templars actually isn’t so sinister. The Order seeks to utilize various ancient artifacts, known as “Pieces of Eden”, to create a perfect world in which mankind can live in eternal peace. No war, no crime, nothing but Order, harmony and perfection. Sadly, this ultimate goal has slowly become diluted, with many individuals twisting the Templars’ ideals to suite their own malicious intentions. The Assassins, which are nearly as old as the Templars, reject the idea that mankind needs to be controlled and use these malicious individuals as excuses to fuel their endless war and to keep the Pieces of Eden out of Templar hands. Where the Templars see a firm guiding hand, the Assassins see enslavement. Where the Templars see ways to help better the lives of others, the Assassins see manipulation. Where the Templars see tools to help them realize their vision of Eden on Earth, the Assassins see weapons that must be destroyed. Those who are only familiar with the Assassin’s Creed games know that the secret war between the Templars and Assassins has been raging since as far back as the period of the Third Crusade but the true origin of this centuries-long conflict goes back even further still. The earliest known records of the Templar Order date back to the time of the Achaemenid Empire during the 6th Century BC, though rumors abound that the Order itself was founded by the Biblical figure Cain and that the Order’s crest is actually his mark. The Templars aided both King Darius I and later his son Xerxes in the invasion of Greece in 480 BC before Xerxes was later killed by a Persian Assassin, also named Darius. Xerxes’ assassination also marks the very first recorded use of the iconic hidden blade which would later be used by Assassins and Templars alike. When the Greek king Alexander the Great began his conquest of the Persian Empire, the Templars offered him one of the Staves of Eden in exchange for a formal alliance. The staff allowed Alexander to forge one of the greatest empires in human history but the alliance was cut short by a Babylonian Assassin named Iltani who successfully poisoned Alexander in 323 BC. Subsequent attempts to support various rulers such as the Qin Dynasty Emperor of China Qin Shi Huang, the Roman Senator Gaius Julius Caesar, the Egyptian Empress Cleopatra, and the Roman Emperor Caligula all ended in failure thanks to the Assassins. It wasn’t until the year 1118 that the Templar Order finally decided to make itself known; chiefly by allying themselves with the Holy Roman Church. The secretive Order was re-formed as the Knights Templar and was charged with the task of protecting pilgrims who ventured into the holy land of Jerusalem. When Pope Innocent II granted the Knights Templar both diplomatic immunity and exemption from taxes in 1139, the Order’s power, wealth, and numbers quickly swelled. In turn, the Order became an influential force during the Second Crusade. 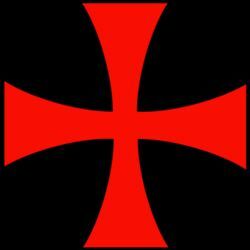 By the time of the Third Crusade in 1191, the Assassins had become a major thorn in the Knights Templar’s side. 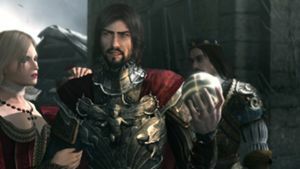 Despite having secretly recruited several prominent figures on both sides of the war between the Crusaders and Saracens, the Order suffered a major setback when the Assassins, led by the Syrian Assassin Altair Ibn-La’Ahad, managed to locate and secure an artifact known as the Apple of Eden before the Templars could. Even the secret alliance with the Assassin grandmaster Al Mualim wasn’t enough to stop Altair from killing several prominent Templar leaders before spiriting the Apple away, to remain forever out of the Order’s reach. In spite of their supposed disbanding in 1307, the Templar Order lived on in secret, continuing to manipulate events from the shadows. During the Hundred Years’ War which began in 1337, the Templars discovered that one of the Swords of Eden was in the possession of a young French freedom fighter named Joan of Arc. It was the Templars’ manipulation that ultimately led to Joan’s capture and subsequent burning by the English in 1430, allowing the Order to secure the sword. This boost in power allowed the Templar Order to eventually secure an alliance with the Spanish Cardinal Rodrigo Borgia in 1476. Borgia, who would go on to become Pope Alexander VI as well as the Grand Master of the Templar Order, led the Templars into what is currently referred to as the “Dark Age of the Order.” Through murder, extortion, bribery, and conspiracy, Rodrigo (with the help of his sons Cesare and Juan and his daughter Lucrezia) soon became one of the most powerful men in all of Europe. Rodrigo’s thirst for power extended across the entirety of Northern Italy and his leadership of the Templars caused the Order to lose sight of its original ideology. Few dared to openly defy Rodrigo and the Templars except for the Assassins, now led by a vengeful young man named Ezio Auditore de Firenze. Ezio’s father Giovanni had also been an Assassin fighting back against Rodrigo and the Templars and when Rodrigo had Giovanni and Ezio’s two brothers killed, he inadvertently created the very force that would be his eventual undoing. Ezio, fueled by vengeance and, later, a desire to rebuild the Order of Assassins, went on to liberate several Italian cities, including Florence and Rome, from Templar control. Rodrigo was later killed by his own son Cesare in 1503 who, in turn, was killed by Ezio in 1507. Ezio’s final act for the Order of Assassins was travelling to Constantinople and helping the Turkish Assassins wrest control of the city from the Templars in 1511, all but eradicating the Templars’ presence in Italy and the Byzantine regions. It wasn’t until the 17th Century that the Templars were able to gain a solid foothold once again, this time in the New World region of the West Indies. Operating out of the Cuban port city of Havana, this newly revitalized Templar Order was eager to shed the dark reputation of its Borgia-controlled past, and instead embrace an ideology that favored subtle influence over direct control. However, wherever the Templars were, the Assassins were sure to follow. 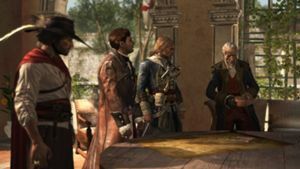 While the Templars focused on securing alliances with local governors and other influential figures, the Assassins found a suitable ally in the various pirates that also called the West Indies home. Pirates such as Anne Bonny and Edward Kenway helped the Assassins take down the local Templar Grand Master Laureano de Torres in 1720. When the French and Indian War began in 1754, the Templars saw an opportunity to both secure new territories and put their ancestral enemies, the Assassins, down for good. Haytham Kenway, the Templar son of the Assassin pirate Edward Kenway, and Shay Cormac, a former Assassin turned Templar, were both sent to North America with the goal of recruiting new members to the Templar Order and killing any Assassins they could find. While Haytham focused on building up the Order’s North American ranks, Shay began systematically hunting down his former brothers in arms and eventually led an all-out assault on the Assassins in 1763 that left only a sole survivor: Achilles Davenport. The Templars left the broken and disillusioned Davenport to live in exile while they secured their reign over the thirteen colonies. However, a chance encounter between Davenport and a young Native American boy in 1770 would change everything. That boy was Ratonhnhaké:ton, the half-breed son of Haytham Kenway and an Indian woman named Kaniehtí:io. Under the tutelage of Davenport, Ratonhnhaké:ton, eventually given the name of “Connor”, grew up to become an Assassin and helped to re-establish the Assassin presence in Colonial America while also fighting back against his father Haytham and his Templar allies. Connor inadvertently became a major force behind the American Revolution, helping Patriot forces win their independence from the British monarch. 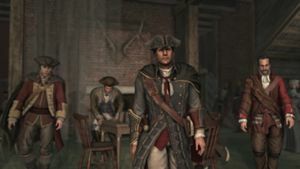 One by one, every major Templar figure in the thirteen colonies, including the brash general Charles Lee and Connor’s own father Haytham, met their end at Connor’s hands, erasing the Templar presence in Colonial America. 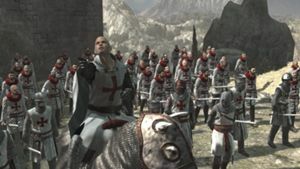 When the French Revolution began in Paris in 1789, the Templars tried to once again capitalize on the turmoil and instability of the region but the murder of the Templar Grand Master De la Serre at the hands of a fellow Templar and the subsequent conflict with the Assassins ruined said efforts before they could gain any traction. Little else is known about this tumultuous time other than that it involved an Assassin named Arno Victor Dorian who supposedly had a romantic relationship with Elise De la Serre, the daughter of the Grand Master who was murdered. Despite the previous efforts of Connor Kenway and the Assassins, the Templars were eventually able to regain a presence in North America and, by the 19th Century, had even recruited several prominent members of the American Industrial Age including Thomas Edison and Henry Ford. The Templars helped Edison slander his rival Nikola Tesla, allowing Edison’s direct current method of harnessing electricity to become the preferred method worldwide. Thanks to a booming industry that was spearheaded by men such as Edison and Ford, the Templars soon had access to a vast financial network that allowed them to establish their first public presence since the founding of the Knights Templar: Abstergo Industries, which was founded in 1937. Under the new moniker of Abstergo, the Templars tried to assist Adolph Hitler with the conquest of Germany and its surrounding countries during World War II but an Assassin managed to kill Hitler in 1945, putting an end to those plans. The Templars then turned their attention towards more local political pursuits such as the assassination of John F. Kennedy in 1963 and the subsequent installment of Lyndon B. Johnson (a member of the Templar Order) as President of the United States. Several other major political leaders including American Secretary of State Henry Kissinger and British Prime Minister Margaret Thatcher were also influenced by the Templars, leading to the eventual dissolution of Communism. 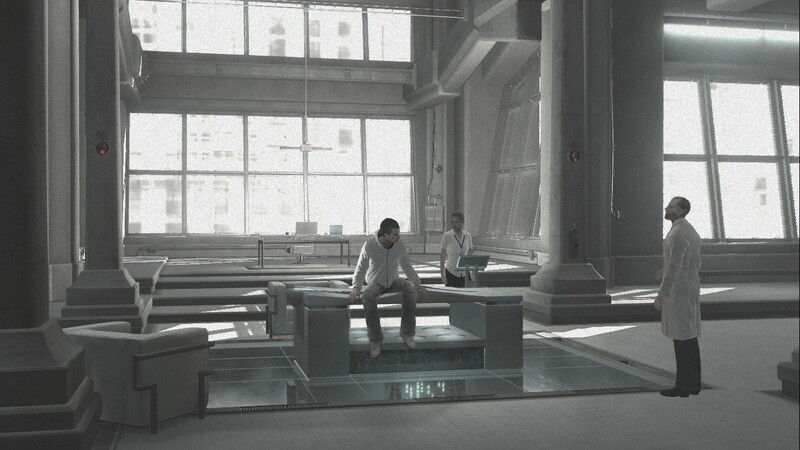 In 1985, Abstergo founded the Animus Project; an initiative through which test subjects could be influenced using a device that mimicked a Piece of Eden. Led by a scientist named Warren Vidic, the Animus Project allowed the Templars to infiltrate the Assassin Order and eventually secure its political and industrial influence over the United States. Later on, the Animus Project was reworked in such a way as to allow users to actually relive the memories of their ancestors. Abstergo hoped to use this new functionality to discover the whereabouts of additional Pieces of Eden but the plan backfired horribly when a test subject named Desmond Miles, the ancestor of Altair Ibn-La’Ahad, Ezio Auditore, and the Kenway family, managed to escape and eventually kill Vidic in 2012. Vidic’s death forced Abstergo to put its plan of launching a Piece of Eden into orbit via satellite, thus gaining absolute worldwide control, on indefinite hold. Despite the setbacks brought about by Desmond Miles and the Assassins, the Templars, acting through Abstergo, remain committed to their pursuit of peace and order. The founding of the multimedia subsidiary Abstergo Entertainment has allowed the company to further exert its influence thanks to the development and release of various projects including movies, video games, and other visual media that is based off the ancestral memories of test subjects. Despite the machinations of a hacker group calling themselves the Erudito Collective, Abstergo Entertainment is still going strong today. No one is certain what the future holds, but it cannot be denied that, true to Haytham Kenway’s words, Abstergo and the Templars will weather any opposition and continue to steer events in their favor. Nate Hohl has been working as a freelance writer and game journalist ever since he graduated college in 2011. He has written for a large number of different websites including freelancewriting.com and Newegg's gaming site gamecrate.com. While he enjoys writing news and reviews, he feels his skills are best applied when exploring relevant topics and engaging readers through opinion and editorial pieces. Nathaniel Hohl posted a new article, The Order of Abstergo: The Rise of the Templars in Assassin's Creed. It would be interesting if AC:R is released for the other consoles/PC somewhere down the line, this one is sounding more fun than Unity to be honest.